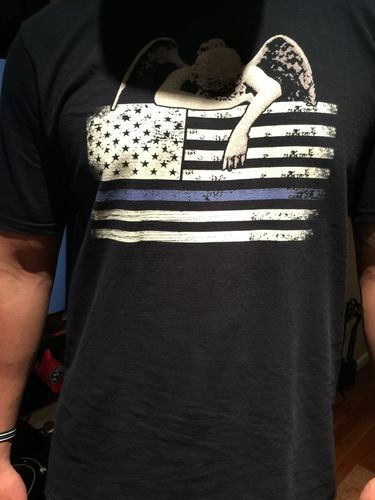 Support our fallen law enforcement officer by wearing this Weeping Angel Thin Blue Line Flag Shirt. The design is a combination of the Thin Blue Line, the American Flag, and a weeping angel. The message is to make a stand for the loss encountered by the families of fallen police officers. Show your love and honor for our brothers and sisters in blue by wearing this shirt, sweater, or hoodie. Please Note: The design is on the FRONTof the shirts and hoodies. Love the shirt and what it represents. Have it in T-shirt and sweatshirt. Very comfortable. Doesn’t fade. 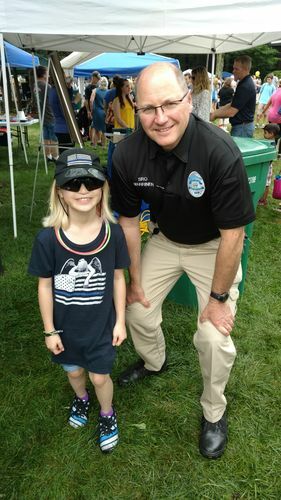 Shirt was very well done and received on time, we used our shirts for a Bolwing tournament for Fallen Officers Heros! Thank you! Fit was great, very comfortable t shirt, will purchase more from this company!!! Very pleased with the t-shirt I purchased!! The material is good quality and it's just perfect!! I will order again...thank you! !